The Kauffman School is committed to transparency in reporting on the academic progress of its students – we will "show that we know." 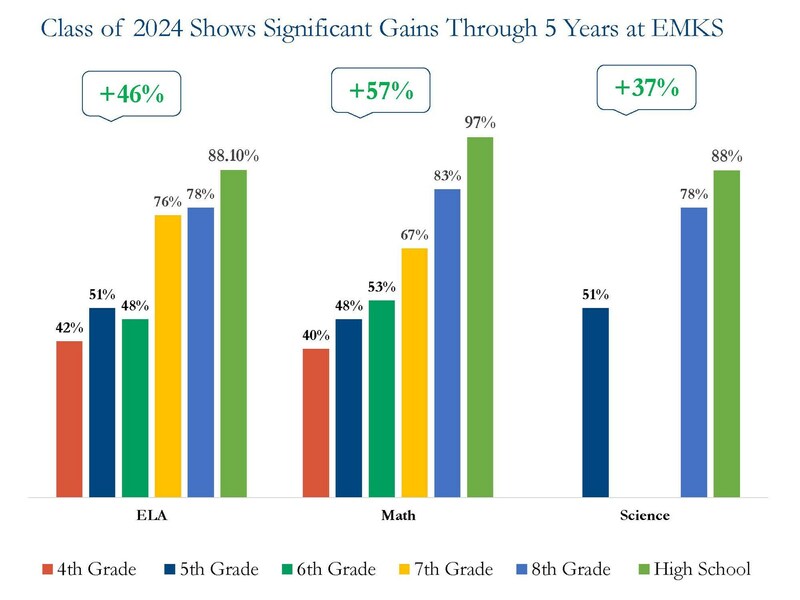 At the Kauffman School, we believe that strong results translate into hope and opportunity for our students and families. 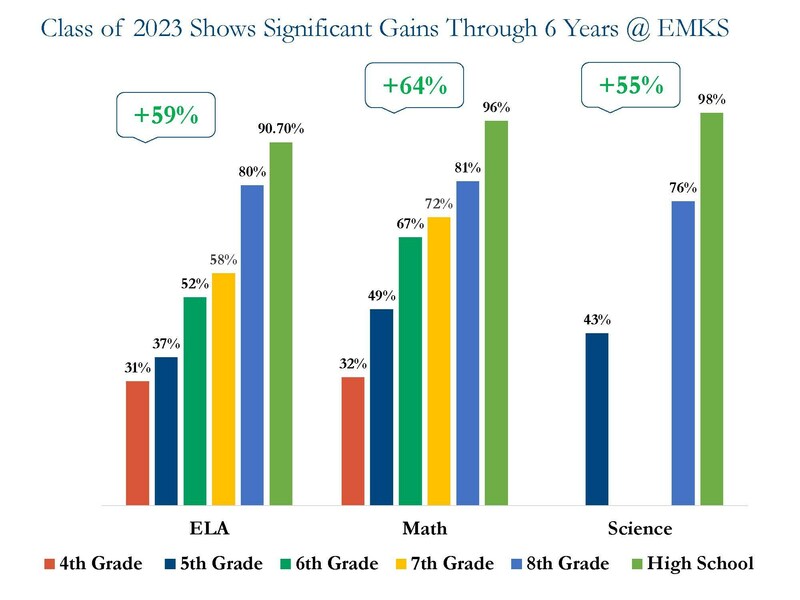 The results reported here reflect scores from students enrolled at the school when end-of-year testing was administered. 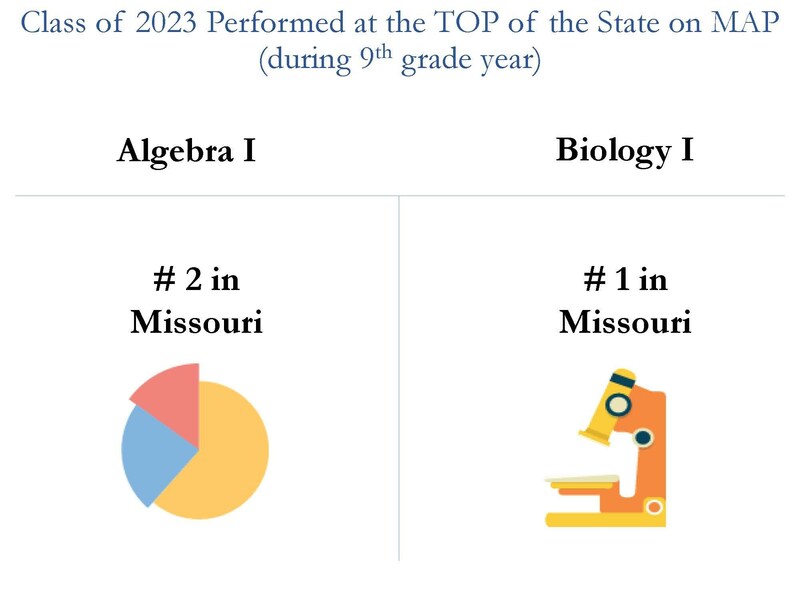 The Class of 2023 is our founding class. Now juniors in High School, they started with our school in fifth grade. The Class of 2024 is our second class of students: now sophomores in high school. 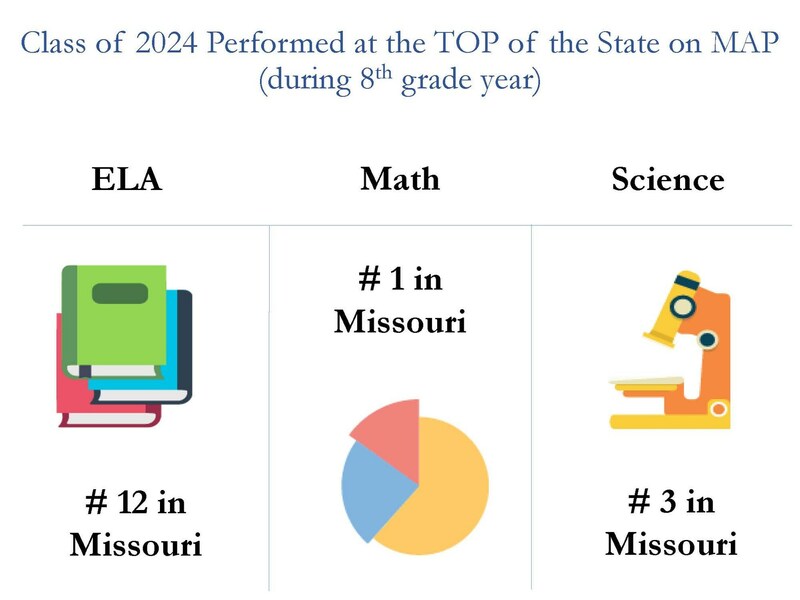 The Missouri Assessment Program (MO-MAP) Required state assessment administered by all district and charter public schools in the state. Literacy development program and assessment tool designed to target individual student literacy needs, develop skills, and track literacy growth over time. End-of-Course assessments are taken when a student has received instruction on the Missouri Learning Standards for an assessment, regardless of grade level. Culminating assessment for all Advanced Placement courses. The ACT test is the nation's most popular college entrance exam accepted and valued by all universities and colleges in the United States. The ACT is based on what students learn in high school and provides personalized information about their strengths for education and career planning. Required state assessment administered by all district and charter public schools in the state.